Our economic bounce n slide combos are recommended for younger ages (under 10), but adults can play, too! 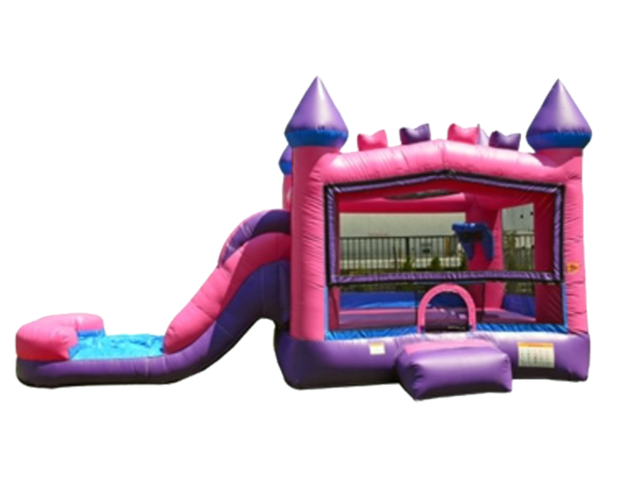 These include a 13' x 13' bounce area, basketball hoop, and slide. A soaker hose drips water from the top of the slide. Riders land in an inflated shallow pool.